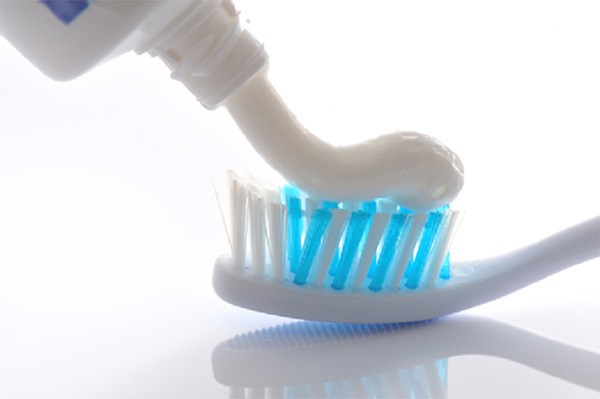 In order for companies in the personal care and pharmaceutical industries to thrive and remain competitive in our global market, they need partners who offer reliable products with quick turnaround. Ampco is that trusted partner. Ampco understands downtime means lost revenue. We take pride in building versatile, reliable pump technology – and offering it with a quick turnaround and at an extremely competitive price point. From processing harsh and corrosive products with ease to navigating demanding shear requirements, Ampco works tirelessly to achieve success in customers’ application challenges. Discover for yourself how Ampco is serving global personal care and pharmaceutical processors. Contact us. Challenge us. You’ll be very pleased with the solutions offered at Ampco. Ampco has decades of expertise in honing pump technology for a wide assortment of personal care and pharmaceutical installations. We excel in the handling of delicate processing needs and ensuring homogenous batch consistency. 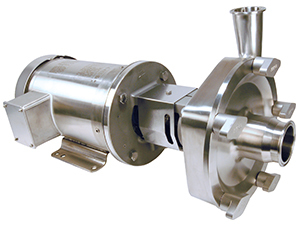 When using Ampco pumps, mixers and blenders for sanitary applications, you’ll never have to sacrifice product quality or consistency. While Ampco is adept at offering products superior in cleanability, it’s our engineering teams’ willingness to customize and tailor products to meet rigorous customer specs that raises the bar even more. There’s a partnership to our approach. We only succeed if our customers thrive. Ampco has an industry-leading lineup of versatile positive displacement pumps, centrifugal pumps, mixers and blenders designed for performance excellence and longevity in sanitary applications. 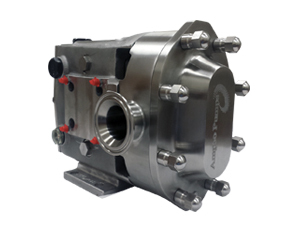 Ampco’s Patented, Best-Selling Positive Displacement Pump. Leads in CIP. Highly Engineered to Meet Critical Tolerances. Customizable to Detailed Customer Specifications. High Efficiency, High-Performance Lineup of Sanitary Centrifugal Pumps. Viscosities up to 1,200 cP and CIP Options. Leader in Efficiency for Blending Wet and Dry Ingredients. Offers Enhanced Seal Longevity. Pharmaceutical Manufacturer – East Coast, U.S.A.
Ampco goes above and beyond for its customers, developing solutions and customizing product designs to meet even the most stringent application needs. 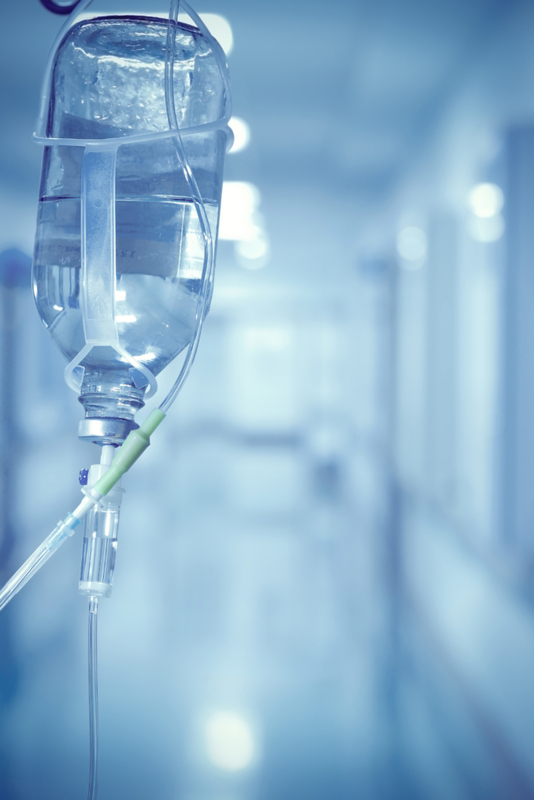 When a pharmaceutical product manufacturer came to Ampco with a high-purity, high-efficiency positive displacement pump need, Ampco’s engineering team was at the ready to provide viable solutions. The engineers developed a high-purity specialty ZP3 pump, which leveraged the benefits of Ampco’s patented ZP3 technology to meet the exacting criteria specifications. 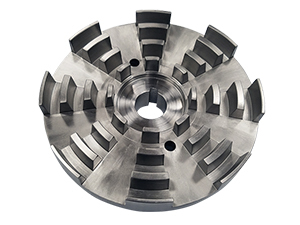 Ampco’s design modifications included custom tri-wing rotors to meet the strict shear rates and particle size criteria. The high purity pump required an electro-polish finish on all product contact areas. Additionally, the custom design provided class 6 elastomers (meeting leachate biocompatibility requirements) and is steamed in place regularly. It meets the demands of an injectable product where hygienic design is of the utmost importance. For personal care and pharmaceutical processing, Ampco has an industry-leading breadth of products to meet a vast array of applications. Our willingness to customize for any application spec. It’s our goal at Ampco to add value to every purchase while remaining cost efficient. Ampco Pumps will exceed your expectations with fast service. Our industry-leading standard delivery is 1 to 2 weeks. Ampco understands critical applications, from achieving consistent product integrity to delivering a uniform, homogenous outcome every time. Whether its Ampco’s SP Series for excellence in dispersing powders in cosmetics or our best-selling ZP3’s superior cleanability to the QTS Twin Screw pump for seamless handling of high viscosities and abrasives or our proven AL Series for affordable low shear performance, you can rely on Ampco for the widest breadth of product choices. 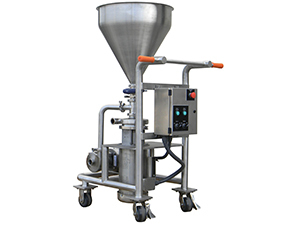 Ampco’s customizable mixers and blenders are perfectly suited for personal care applications and capable of handling a wide range of viscosities too. 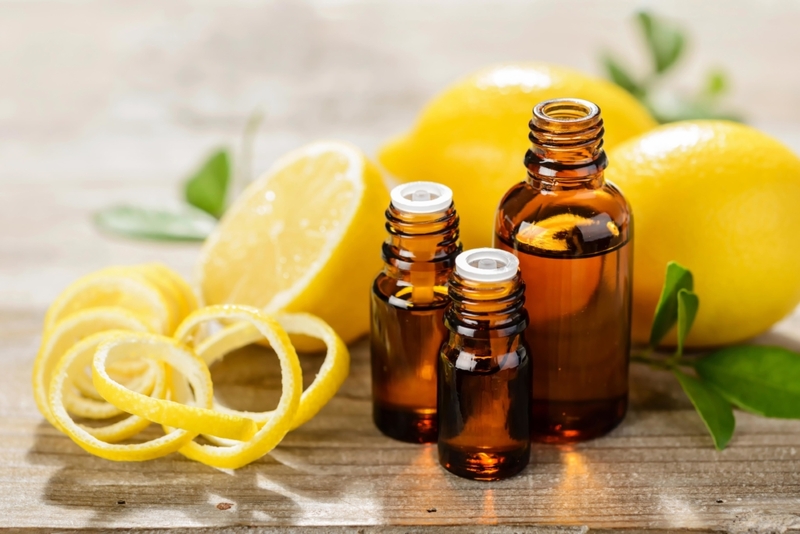 From making ethanol-based aerosol products to sunscreens, lotions, body wash, hand sanitizer, face scrubs, and shampoos, our blenders can be tailored to your exact specifications. Put an Ampco blender to work mixing water, glycerin, polymers, and other bases or to disperse abrasives and active ingredients in your personal care products. Put an Ampco blender to work mixing water, glycerin, polymers, and other bases or to disperse abrasives and active ingredients in your personal care products. 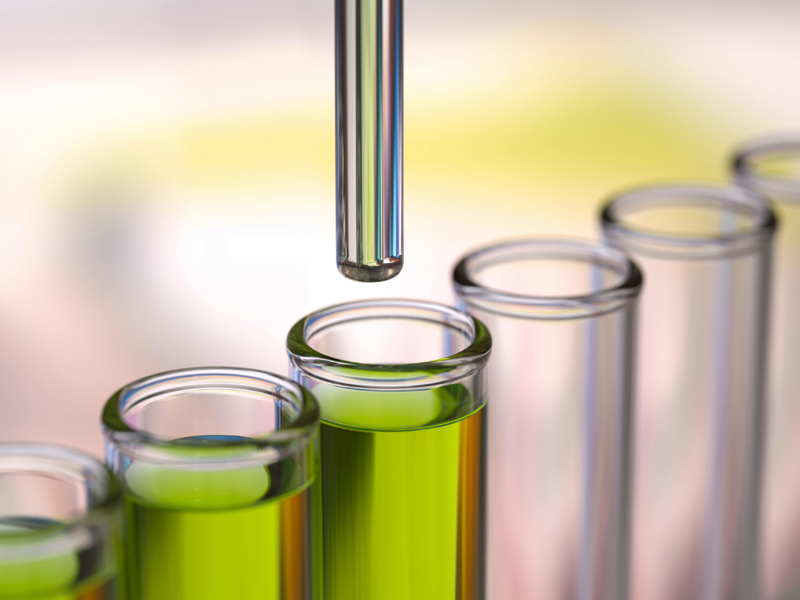 To stay at the top of the pharmaceutical industry, cutting edge technology is a dedicated function of Ampco’s R&D. Pharmaceutical processing requires the utmost in precision, efficiency, and consistency – and at Ampco we produce products to ensure those demands. We respect the fact that there’s no margin for error. It’s why we at Ampco have a meticulous attention to detail to ensure the imperative accuracy in combining active ingredients in medications, treatments, and vaccines. Ampco provides traceability documentation on a wide variety of products to ensure product quality and meet safety requirements. Ampco’s ongoing commitment to customer satisfaction is a top priority. It’s why Ampco’s standard delivery is only 1-3 weeks – with some pumps available to ship next day!